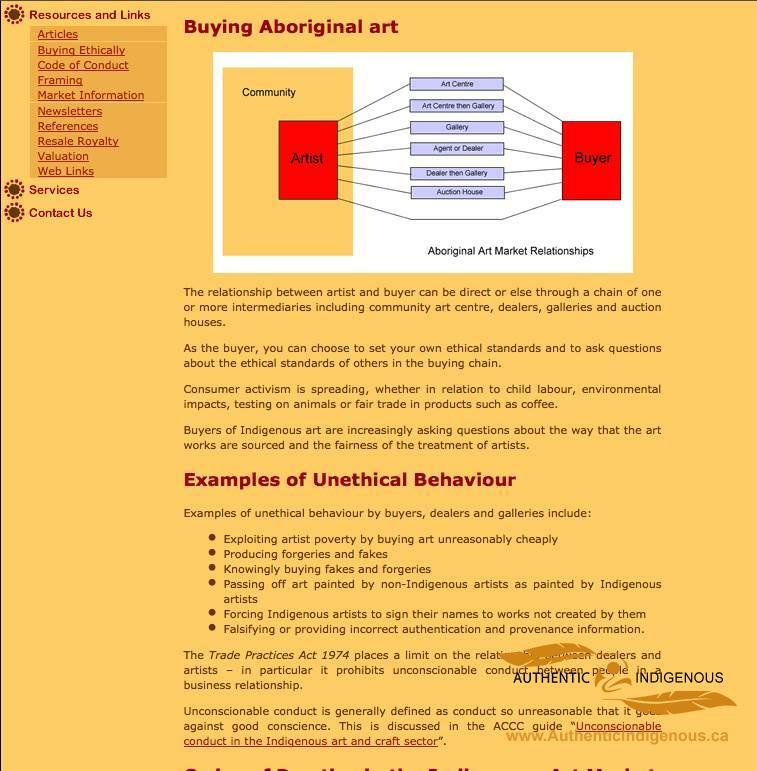 I was doing some research on the artist websites for Aborigine peoples in Australia, and Maori in New Zealand – getting ideas on what might be useful for our work on Authentic Indigenous Arts. I found this great website – and I really like what they’ve included on this page about Ethical Buying. Aboriginal art and craft are a reflection of the sophistication, diversity ands resilience of Aboriginal culture. 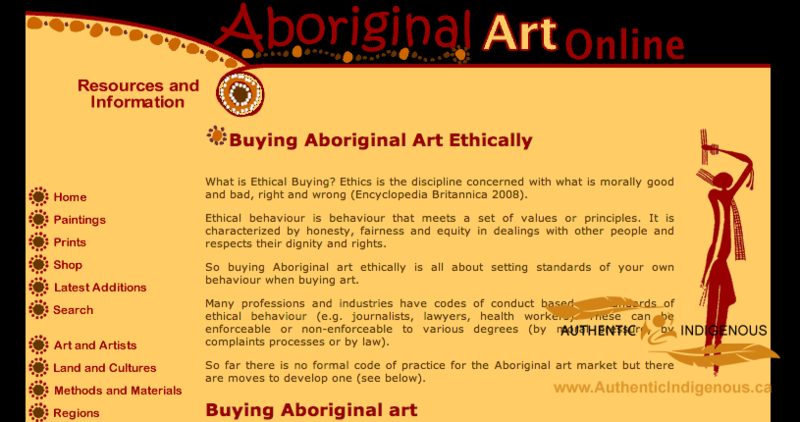 Authentic Aboriginal provides purchasers with important information about artisans, their culture and their work. This helps to ensure both the high value of the art and craft purchased, and the direct economic benefits to Aboriginal artists and their communities.